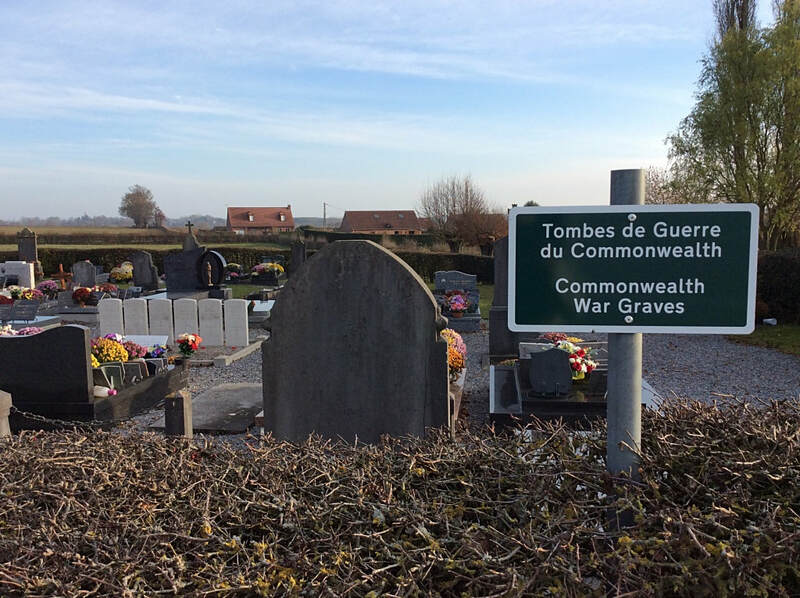 Noyelles-sur-Sambre Communal Cemetery contains seven Commonwealth burials of the First World War, two of which are unidentified. 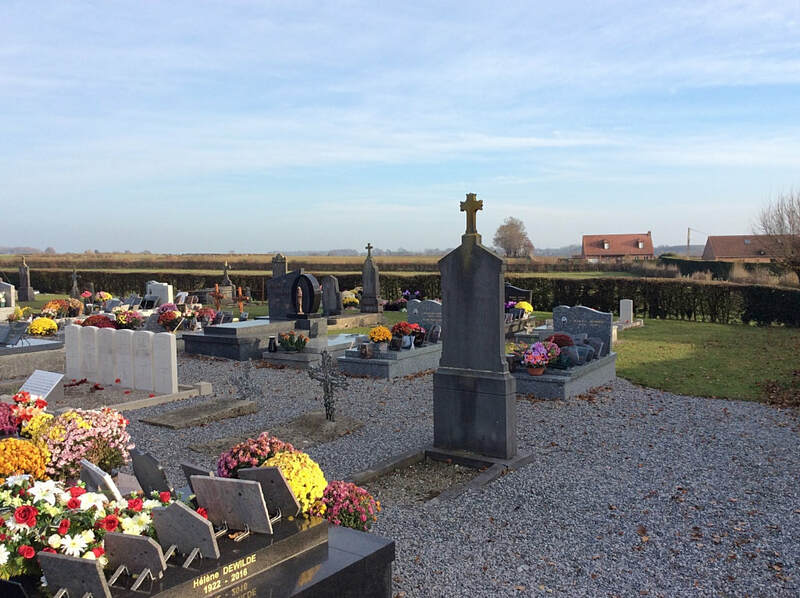 All the graves are located in the South-West part of the cemetery. 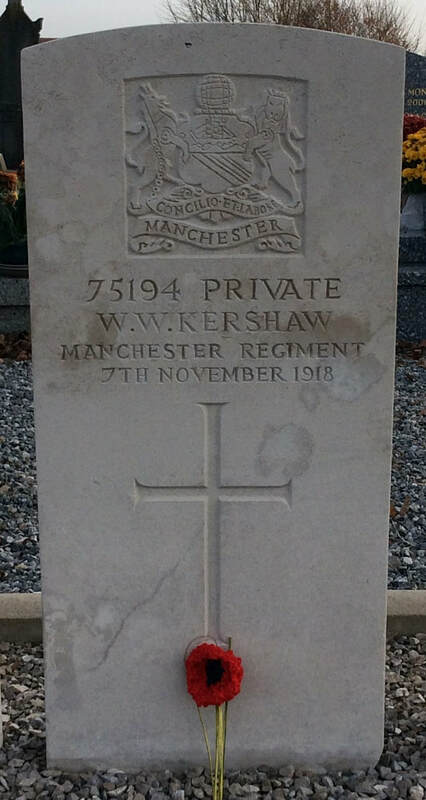 75194 Private W. W. Kershaw, 21st Bn. 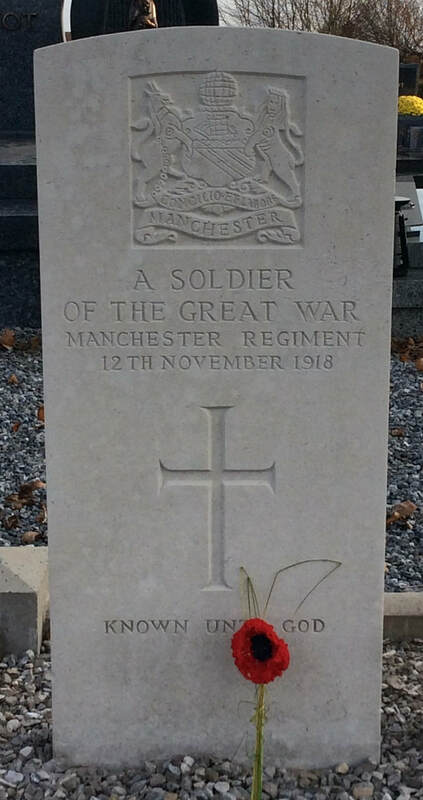 Manchester Regiment, died 7th November 1918. 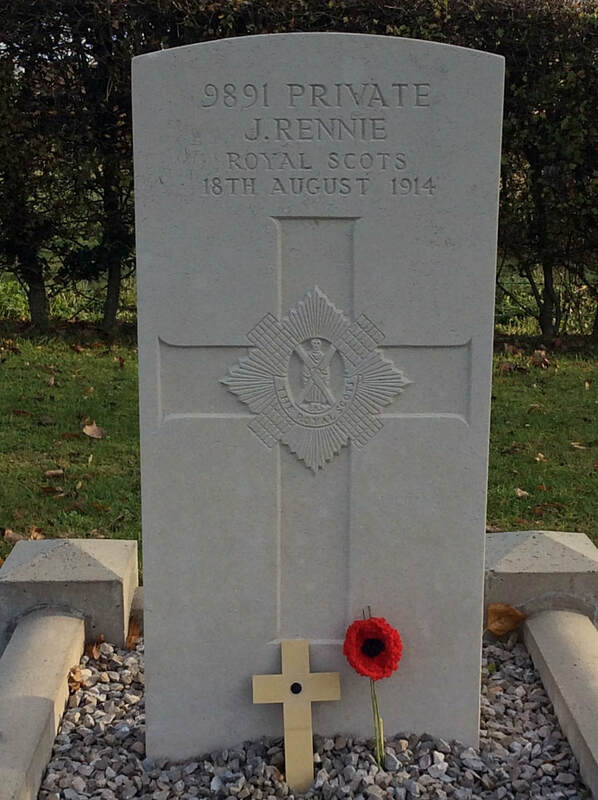 9891 Private J. Rennie, 1st Bn. 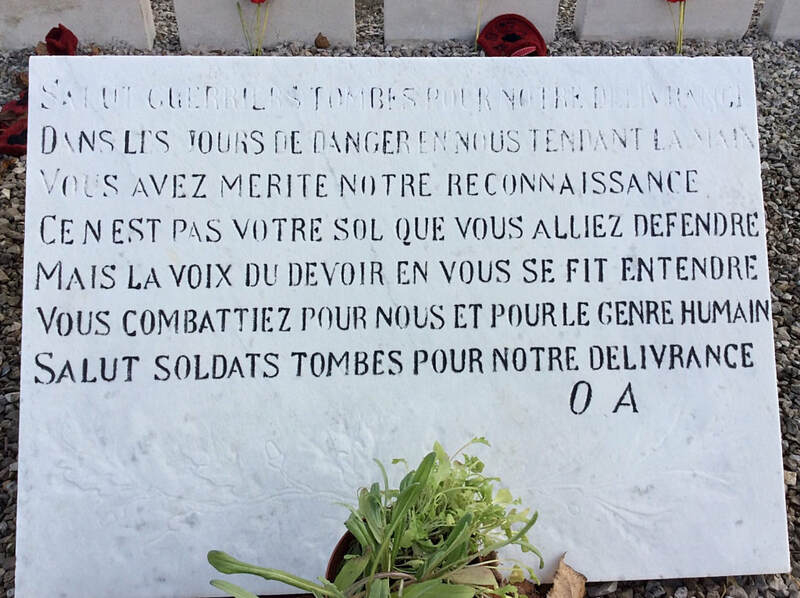 Royal Scots Fusiliers, died 18th August 1914. 62139 Private Thomas William Scales Robinson, 9th Bn. 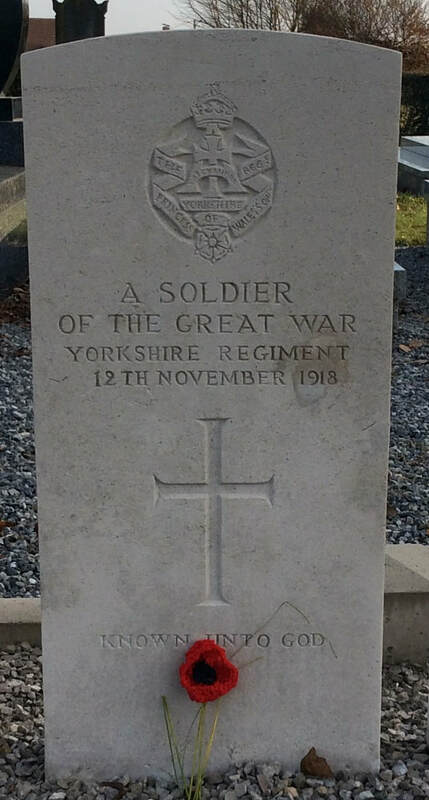 Yorkshire Regiment, died 8th November 1918. 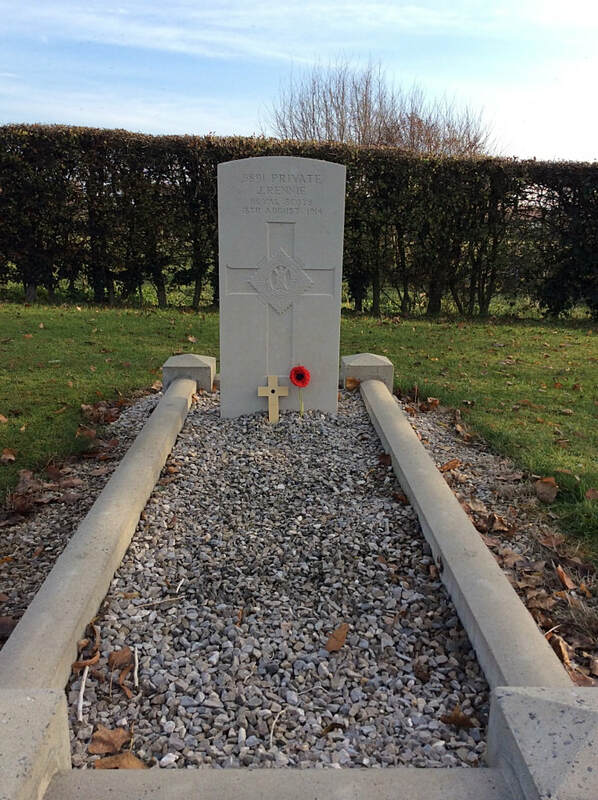 Son of Thomas W. Robinson, of Rye Hill Cottage, Great Ayton, Yorks. 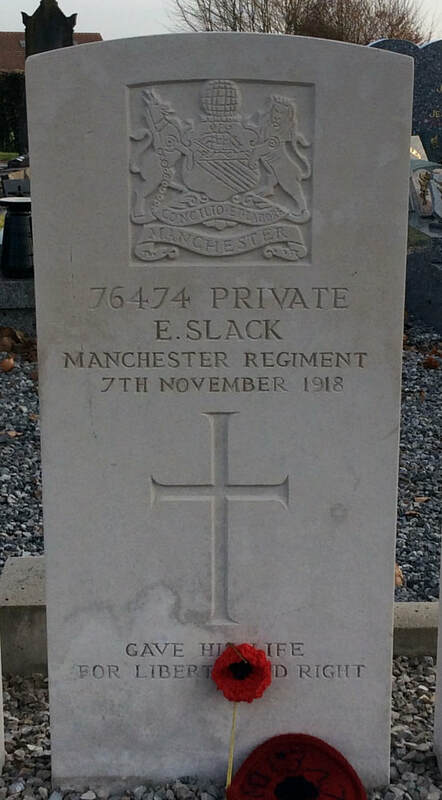 76474 Private E. Slack, 21st Bn. 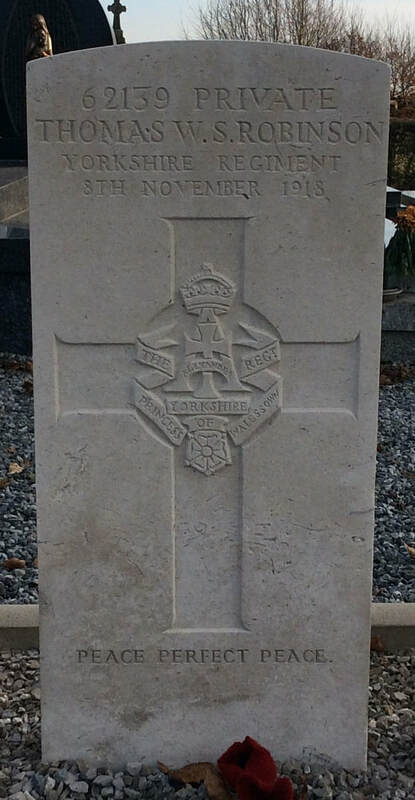 Manchester Regiment, died 7th November 1918, aged 20. Son of William Slack, of Station Rd., Castle Donington, Derby, and the late Martha Ann Slack. 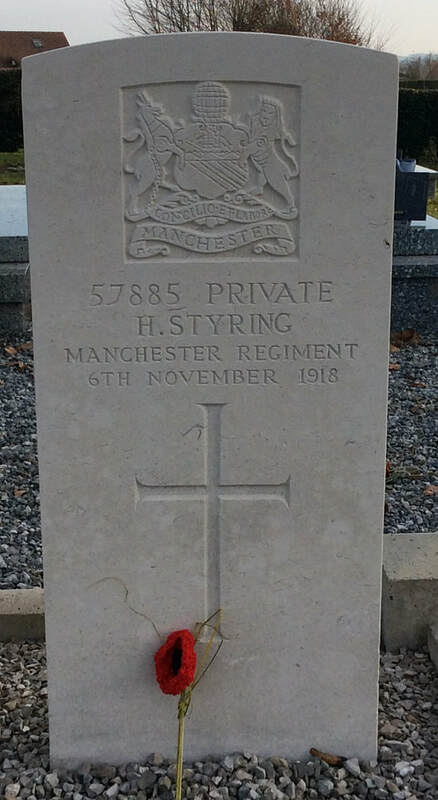 57885 Private H. Styring, 21st Bn. 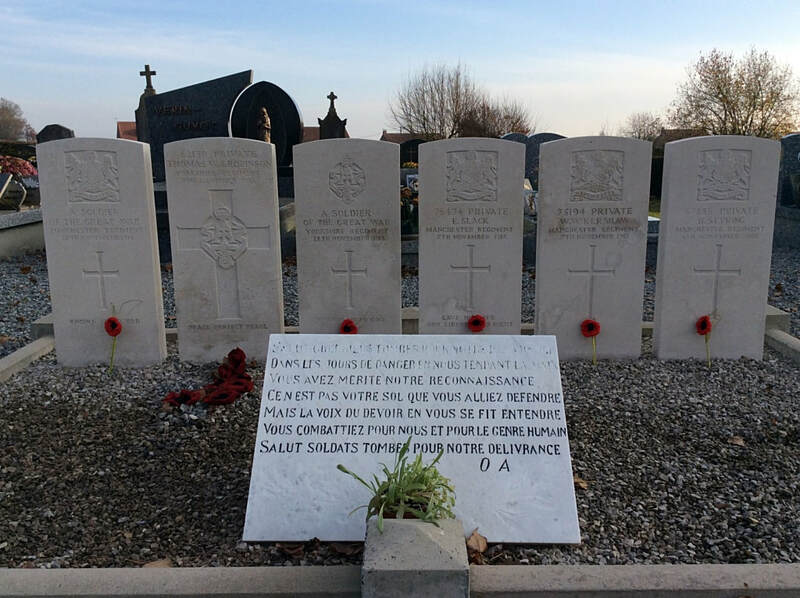 Manchester Regiment, died 6th November 1918.